What are some nice holiday drinks? I spend an hour or so googling candy-cane martinis before I realized I could use this opportunity to literally subsidize my drinking, and decided to recruit my friend Nick for some boozy reconnaissance. We went to go to five different bars, and ask each bartender for two drinks that evoke Christmas for him or her in any way. Two nice things came out of that night. 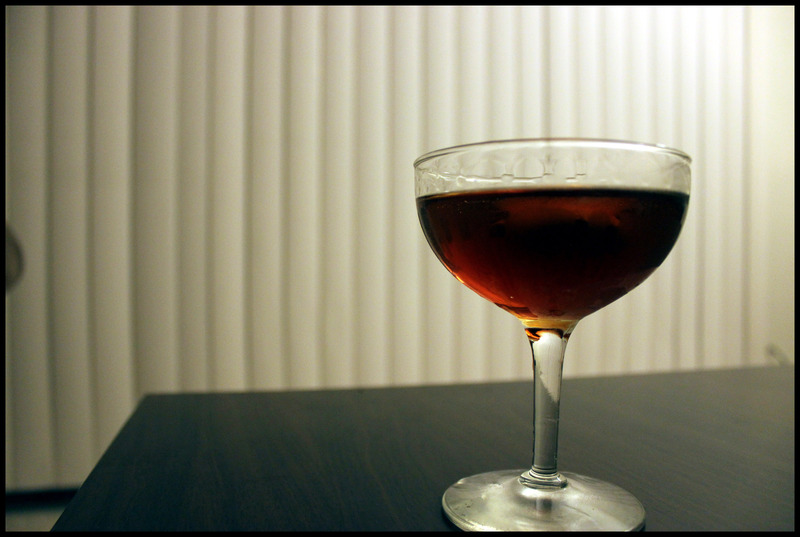 The article was published (here), and I was given what is probably the best drink I know how to make. 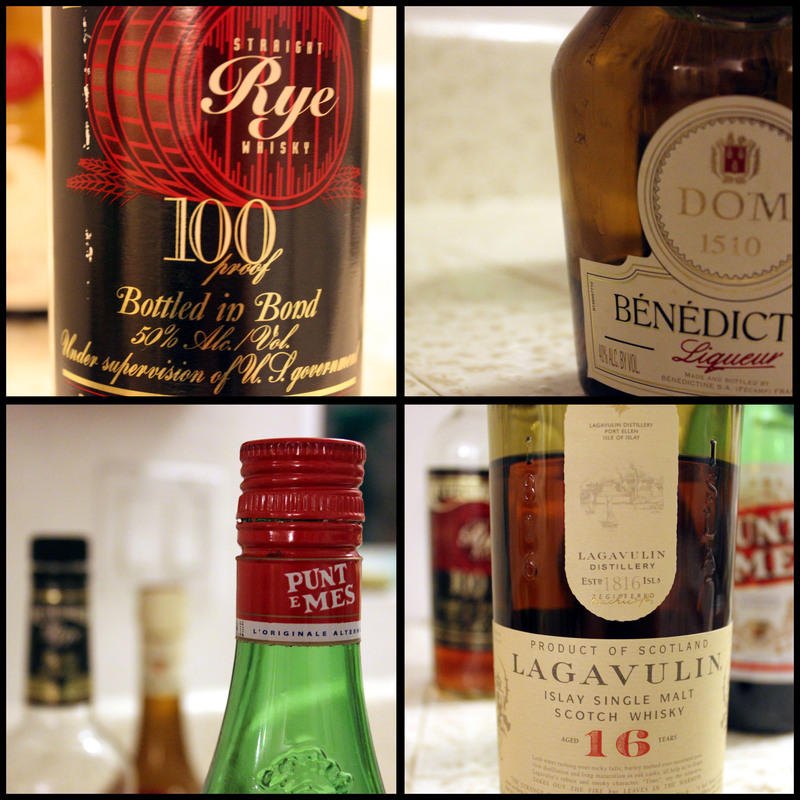 Rinse of smoky scotch (Lagavulin works wonderfully, but really any smoky/peaty scotch will do). 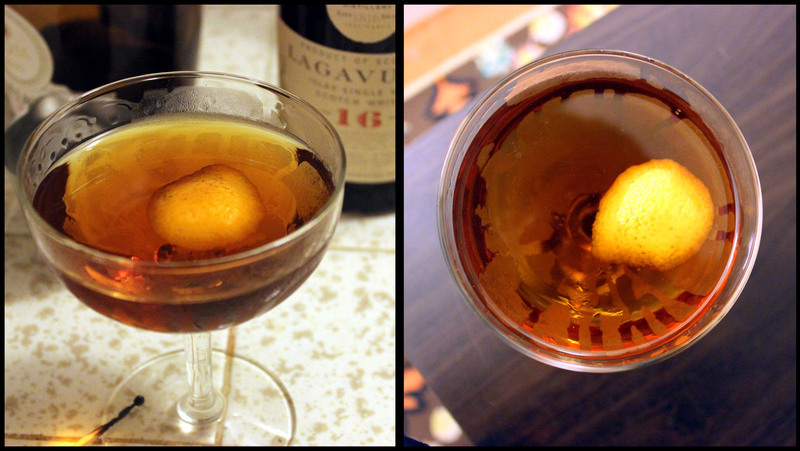 Stir over ice; strain into cocktail glass rinsed with smoky scotch. Garnish with flamed orange peel. Aside from the flamed orange peel, this is a creation of Misty Kalkofan and a subtle variation of the Fort Point, the house cocktail of Drink in Boston. The Fort Point is the same without the smoky rinse or the orange peel, so this isn’t different enough to earn its own name (nor should I name it, as I’m not its father), but this version is definitely my favorite. Punt e Mes is a sweet vermouth made by same people as Carpano Antica, a little sweeter with brighter fruit flavors and a lot more bitter on the back end, making aromatic bitters unnecessary. With a backbone of rye and just a hint of that warm herbal sweetness from the Bénédictine, this is a phenomenal drink. It’s at once simple and grandly complex, each sip offering a different accent as it warms. But the scotch. The scotch is what makes it both transcendent and niche. Without, it’s excellent for pretty much everyone who likes whiskey. With, it’s perfect for me. Though just a rinse it’s a definite presence, picking up where the others drop off and taking you blissfully into the finish. There are some flavors, some floral or smoky or herbal ones, which seem somewhat undimmed by mixing as if they exist on a different plane. Remembering that, if you don’t like that medicinal peaty flavor of scotch, skip the rinse. But if you do, don’t. It’s divine. 1. Pour a very small (<0.25oz) amount of rinsing liquid in the glass. 2. Tilt the glass over a container so the liquid approaches the rim, then slowly twist the glass while steadily dripping the liquid out, thereby coating the inside of the glass with the flavor without leaving too much volume behind. 3. Drink the liquid out of the container. I really do love rinsing with scotch. So glad to have found this site! My drinking buddy and I made the Fort Point (smoked) the other night and it was perfect. This will become a go-to cocktail. Incidentally, our first round was with Rittenhouse but we ran out so our second was made with Bulleit rye which we had on hand. Rittenhouse made the far superior for this drink (and in general). Thanks, Marc! I’m terribly glad you enjoyed it as much as I did. And for what it’s worth, I agree with you about Bulleit Rye. It’s wonderful for a number of things, but this isn’t one of them. This one needs the heat & spice. Anyway, thanks! May it treat you well.